There are many distilled spirits available today, though there are just six base liquors that form the foundation of the majority of cocktails and liqueurs. Brandy, gin, rum, tequila, vodka, and whiskey are each unique and have distinct styles within themselves. 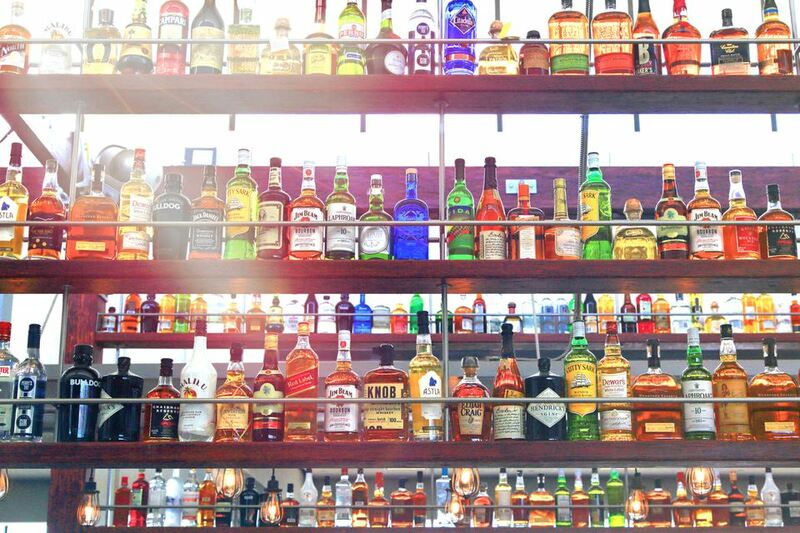 Learn the basic characteristics of each of these liquors to give you an understanding of what makes each special and how to use them in drinks. Distilled From: Fruit. Primarily grapes, though apple, apricot, cherry, peach, and other fruits are also used. Flavor Profile: Fruity burnt wine. Aged: Typically aged in oak, varies by style. Often blended. Produced In: Worldwide. Certain regions of the world produce specific styles of brandy such as Cognac and Armagnac. Regulations: No distinct worldwide regulations. Some of the styles must be produced in certain regions. 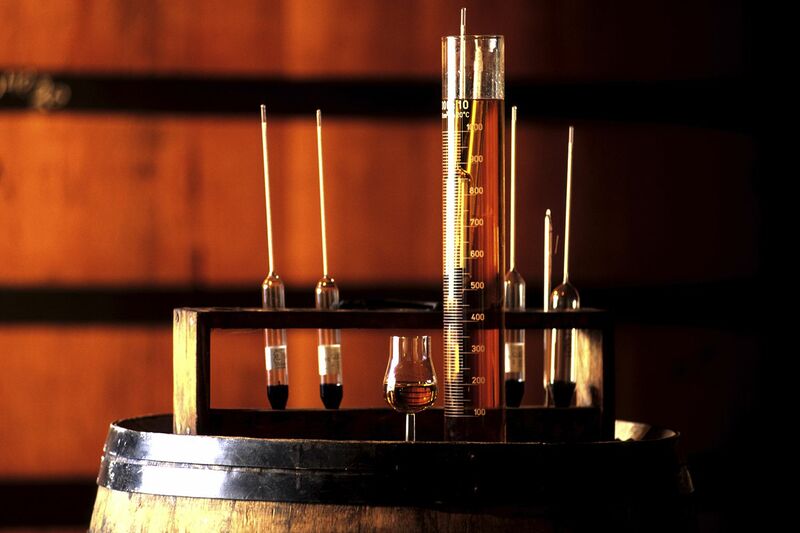 There is also a system for indicating the age of brandies. Cocktail Profile: Brandy was used in a number of classic cocktails and tends to be used in more sophisticated drinks that include just a few ingredients. Many modern brandy recipes are breaking this mold, however, and experimenting with brandy in some very unique flavor combinations. Distilled From: Neutral grains such as barley, corn, rye, and wheat. Flavored with a variety of botanicals, which vary by brand. Flavor Profile: Herbal, dry. The primary flavor that defines gin comes from juniper berries, thus the 'piney' aroma and taste. Regulations: No distinct worldwide regulations. Juniper is the 'accepted' defining quality. Cocktail Profile: Gin's dry profile makes it a perfect candidate for dry (non-sweet) cocktails, including many classics and martinis. It is a nice base for cocktails with just a few ingredients and pairs well with some of the lighter fruits and, naturally, works well with herbs. Distilled From: Sugar. Either molasses or pure sugar cane. Flavor Profile: Sweet. Toasted sugar. Varies by style and region. Aged: Light rum is typically un-aged and other rums are often aged in oak barrels to some extent. Due to climate, aging times vary greatly with warm climate rum requiring less barrel time than those in colder climates. Often blended. Alcohol Content: Typically 40 percent alcohol/volume (80 proof). Overproof rums can reach 75 percent alcohol/volume (150 proof). Regulations: No distinct worldwide regulations. Some regional laws and traditions; an example is that cachaca must be produced in Brazil. Cocktail Profile: Rum's sweeter flavor makes it one of the more versatile spirits. It was one of the first liquors to be mixed into drinks, so there are some nice classic rum cocktails to choose from. It is the obvious base for tropical drinks. On the other side of the spectrum, it also appears in a number of warm cocktails. Flavor Profile: Vegetal, earthy with semi-sweet and spicy tones. Aged: Blanco tequila is un-aged. Other tequilas are aged, often in used whiskey (bourbon) oak barrels. Gold tequila is blended. Alcohol Content: Typically 40 to 50 percent alcohol/volume (80 to 100 proof). Regulations: Tightly regulated by the Tequila Regulatory Council (CRT) under the Appellation of Origin, first adapted in 1978. Cocktail Profile: Tequila has a great flavor profile for mixing into a variety of cocktails. There are, of course, the margaritas and frozen cocktails in which tequila is mixed with any fruit imaginable. It also makes a perfect base for spicy cocktails and is very popular for party shots. Distilled From: Neutral grain (rye, corn, wheat, etc.) or potato. Some are distilled from beets, grapes, and other bases. Vodka can be the 'catch-all' category for white spirits that fit nowhere else. Flavor Profile: Neutral alcohol/ethanol. Varies greatly depending on the base and added flavorings. Distinguished more by texture: oily vs. medicinal. Styles: Clear vodka is typically distinguished by the base it was distilled from and/or the region it was produced. Flavored vodkas are a popular category. Regulations: No distinct worldwide regulations. Cocktail Profile: Vodka's neutral taste makes it the most versatile spirit available today. Vodka cocktails can be found on almost every imaginable flavor profile from sweet to savory, fruits to herbs and spices. Martinis and shooters are popular vodka drinks as well. Distilled From: Malted grains which vary by style. Can include a mixture of corn, rye, wheat, barley, etc. Flavor Profile: Roasted, malted grain with oak undertones. There are distinct characteristics in each style. Aged: Typically aged in charred oak. Some styles, such as bourbon, require new barrels while others use a mixture of new and previously used whiskey or wine barrels. Moonshine is the primary exception to aging. Some whiskeys are blended while others are single malt or straight. Alcohol Content: Typically 40 to 50 percent alcohol/volume (80 to 100 proof). Some are higher. Regulations: Most styles have their own distinct regulations governed by the country of origin. Some, such as those labeled 'blended whiskey' alone, is not prone to tight regulations (that is not to say they are not regulated). Cocktail Profile: Whiskey is another of the more versatile cocktail bases available and with so many styles, there is the opportunity for great diversity in flavor profiles. It mixes well with other liquors to create complex drinks and it pairs well with a number of fruits, particularly the darker fruits. Warm drinks are also very popular with whiskey.